Is It Possible to Build Muscles Without Taking Any Supplements? Home » Is It Possible to Build Muscles Without Taking Any Supplements? Long before Instagram, IFBB leagues and the movie ‘Pumping Iron’, men still had muscle. Look back to the beginning of human civilization and it was slabs of lean mass that put powerful men in their positions. The guy who could run the fastest, jump the highest, and lift the heaviest secured his alpha-male status. Do you think warriors rose to kings with a body like a marathon runner? No way, bro! Our ancestors were jacked and powerful AF – sabre-toothed tigers don’t die easy, dude. But how did they do it without whey protein powder or creatine tablets? What about pre-workouts, intra-workouts, post-workouts, and even thinking-about-workouts? Easy! They ate nutritious whole foods, moved their bodies in the correct way, and slept well. Honestly bro, it doesn’t get much simpler than that. Men have evolved over millions of years to build muscle with nothing but mother nature to hand. Guess what? You can too, bro. Today, we have the power of supplements to help us on our way to getting jacked. 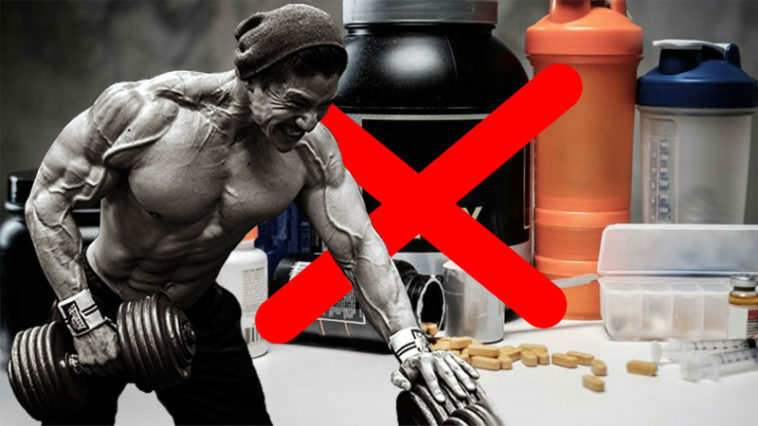 But these magic powders and elixirs aren’t the be all and end all of muscle growth. They are exactly what their name suggests – supplements to support a healthy and active lifestyle. For us bothered about bolstering our biceps, that it typically refers to our diet. Therefore, rather than pre-workouts being designed to fuel you for life, they’re created to ‘enhance’ an already well-balanced diet with performance-boosting nutrients. Let’s look at whey protein whilst we’re here bro. Vikings had the strength to crush the skulls of their enemies well before whey existed, right? They didn’t struggle swinging giant axes, rowing longboats, or raiding cities. Yet here we all are panicking if we don’t glug a protein shake half a second after finishing our final set. We did just fine before supplements – we’ll do just fine after them. However, as a modern muscle-building man, we can up our daily protein intake with a tasty and handy power. The same goes for ZMA, BCAAs, Creatine, and Vitamin D for example – which are all available as convenient supplements. Yet, we’d be crazy to claim that none of these things existed in our food or in nature. 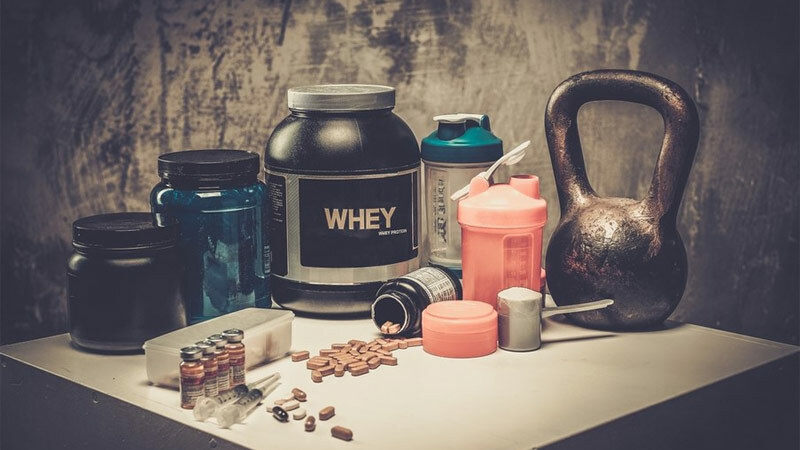 Now you’ve got the inside scoop on supplements it’s time to get down to business. Yes, you can build muscle without taking supplements – and we’re gonna show you how. Stick to the following steps and you’re on a surefire road to serious gainz, brah. You’ll do it all without a pill or powder in sight too. Diet is one of the fundamental parts of piling on pounds to build lean mass. After all, your body can only use what you put in it, meaning it’s up to you to supply all the necessary nutrients. When it comes to building muscle, the most important nutrient on the planet if protein. Protein is a macronutrient made of amino acids, which are the building blocks of muscle tissue. When we exercise, work out hard, or simply pick up a pen, we create tiny microtears in our muscle fibers. These are then repaired to grow back bigger and stronger using the protein in our system. For the average-sized bro wanting to stack up, you’ll need to eat 1.4 g – 2.0 g of protein per day . You’ll find this muscle building macro mainly in animal-based foods like chicken, beef, turkey, and fish. Plant-based bros – don’t panic! You’re covered too. Products like soy offer a complete protein source, whilst you’ll find plenty in various beans and grains. If in doubt check out our complete protein guide here. On top of your protein, you’ll also need to support your bodies other macronutrient needs. Both carbohydrates and fats are important for optimizing your body’s function – so don’t skimp on these. Carbs are our body’s preferred energy source meaning they’ll fuel your workouts, but fats can be used for energy too. Let’s not forget that fats are also vital for hormone health and play a key role in Testosterone production. It’s important to stick to the healthier fats for building muscle, which we’ve outlined in this separate guide. You should also eat a variety of fruit and vegetables to soak up a plethora of micronutrients. These vitamins and minerals act like keys to unlock doors in your body; helping unleash energy, protect you from illness, produce testosterone, and ultimately build more muscle. In order to build muscle, a bro must force adaptations. Imagine this process like tearing down a wall only to build it back up bigger, better, and stronger than before. Every time you break down your muscle fibers it triggers a response to repair them. Want to know how you can do it? Simple. Get your *ss in the weight room and start bending that barbell brother! Studies show time and time again that resistance training is a leading method for building muscle . So, hitting the iron is a must to muster slabs of mass. By lifting and continually making your muscles work harder through progressive overload, you continually cause damage to the muscle fiber. Over time these fibers will keep rebuilding until they become noticeably larger – something known as muscle hypertrophy. Bro, you’ll be a helluva lot stronger too. Especially if you’re going primal and hitting heavy compound lifts. Wait, why do we even have to talk about studies? Just look at Arnold Schwarzenegger and tell us lifting won’t do the trick! Double your iron game with an awesome diet and you’ll be a fully-fledged member of ‘The Swole Patrol’ before you know it. Finally, you’ll make it easier to build muscle without supplements by adapting your lifestyle. Believe it or not bro, your gains don’t solely rely on what you get up to in the iron house. You must adopt a true muscle-building lifestyle if you want to see the adaptations you’re after. Getting enough sleep is a great way to start guys. Ensuring you get at least seven to eight hours of shut-eye a night is a proven way to optimize muscle growth. Put down your phone, turn off the laptop, and damn it – quit with the 2 am Netflix marathons. When you sleep, growth hormone is released into your body and protein synthesis takes place too. Together, these functions bolster muscle tissue whilst you rest, providing you’ve eaten a high-protein snack before bed. Not only that, but sleep quality has a direct link to testosterone levels. That’s because as a male most of your T release happens once you’ve hit the sack. By not getting enough sleep you’re severing your androgen levels for the following day. Studies show that your daytime testosterone levels can plummet by 10 – 15% if you only get five hours rest the night before, which is common for many men. .
Why should you care? Simple, bro. Testosterone improves muscle mass by increasing protein synthesis . And seeing as we’re here to get Judy Dench and stack on slabs of mass, that makes T production a pretty big deal, right? Right. So, forget about the all-night grind and get a date with the duvet. Sleep your way to supplement free muscles. There you have it bro – everything you need to build muscle without supplements. Using a little SpotMeBro knowhow and a few simple steps you’ve got an action plan to get stacked. Supplements are amazing when you use them right. Team them up with a great training program and diet and you have a recipe for the ultimate athlete. The guys at SpotMeBro all use supplements and we’ve all got our well-crafted stacks. But it’s all about knowing how to use them. As the name ‘supplement’ suggests, these are products to simply bolster your muscle-building foundation. They’re no necessity; they’re a bonus for gym bros with goals. 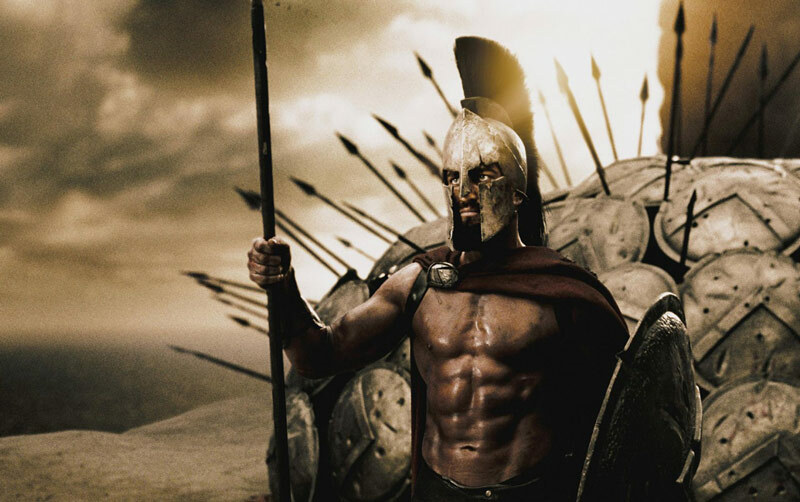 As men we’ve been building muscle for thousands of years, so don’t sweat it if you don’t want to take supplements. Stick to the basic program proven by science and watch the gains-gates open! Good luck out there, bro. Can You Take Creatine and Pre-workout At the Same Time?